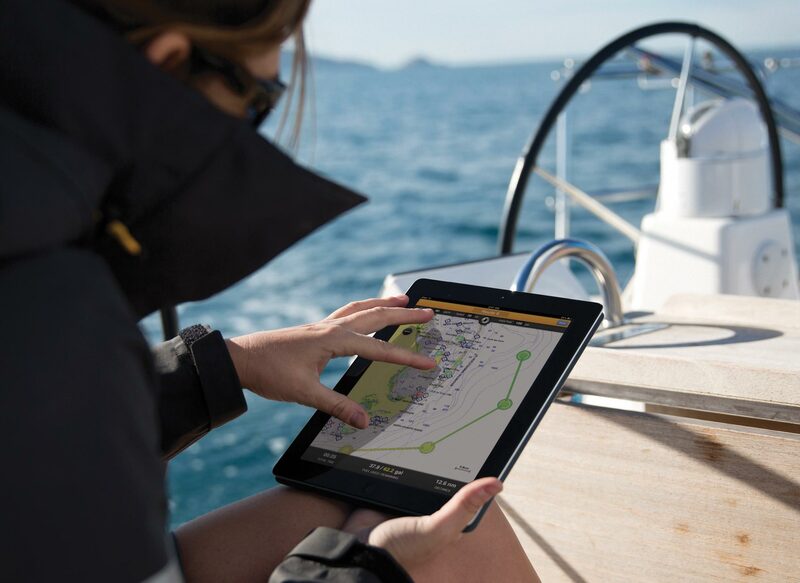 Get your phone or tablet onboard as part of the crew with Garmin marine apps. Using Garmin Helm™, you can view and control your compatible Garmin chartplotter from an iPhone® or iPad®, or a phone or tablet using Android™. Or plan and view routes on your iPad or iPhone in the comfort of your living room, and then transfer them to your compatible Garmin chartplotter with Garmin BlueChart® Mobile. You can even stream weather to your compatible Garmin chartplotter. iPhone and iPad are trademarks of Apple Inc., registered in the U.S. and other countries. App Store is a service mark of Apple Inc. Android and Google Play are trademarks of Google Inc. Wi-Fi is a registered trademark of the Wi-Fi Alliance.